South Scotland MSP Emma Harper has welcomed figures which show that the number of overseas visitors to Scotland from Europe has increased by 22% in the past 12 months to the end of September 2018. Over the same period, the money spent by European visitors whilst visiting Scotland also increased by 7% – with total spending last year at £1.15bn. The figures also showed there was a 14.3% increase in overseas overnight visits to Scotland (now worth £3.5bn) and a 3.3% increase in overseas tourism expenditure in Scotland (from £2.18bn to 2.25bn). The increase is in contrast to the overall UK figures which have seen a 5.4% fall in overseas overnight visits to the UK, and a 7.9% fall in overseas tourism expenditure in the UK, when compared to the previous 12 months. In the last known data recorded for specific regions, which was for 2017, Dumfries & Galloway welcomed 34,000 international visitors, who spent a combined £42m during their time in the county. “This is welcome news that Scotland is attracting more and more international tourists, and that numbers specifically from the European mainland have increased so dramatically, despite the challenges posed by the threat of Brexit. “Tourism contributes so much to our economy helping raise around £6bn of GDP to the Scottish economy, and employs in the region of 207,000 people across the country. “In Dumfries & Galloway we truly live in one of the most beautiful parts of the world and there are so many great attractions in the South West, such as Threave Castle, Kirkcudbright Galleries, our beautiful hills, and our annual events, such as the Stranraer Oyster Festival, Galloway Hills Rally, the Drambusters Whisky Festival in Dumfries, and the Wigtown Book Festival, which attract visitors from across the globe. 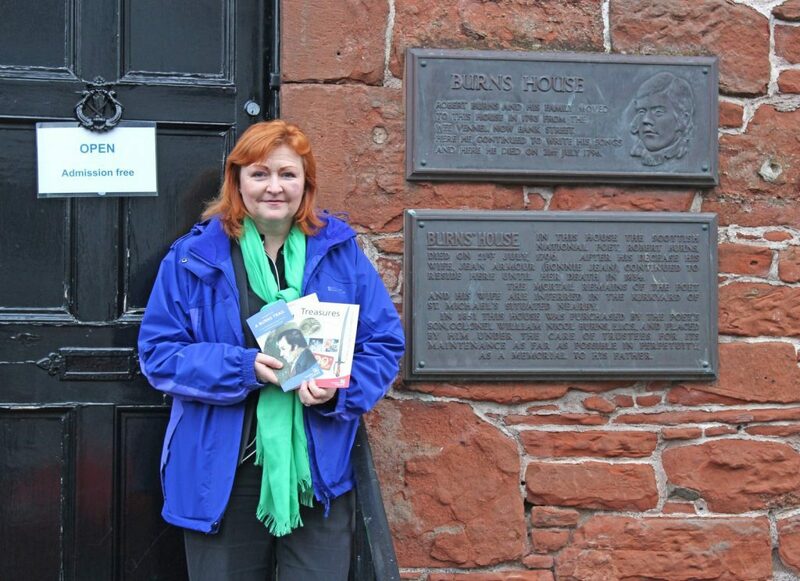 “Of course, ahead of Burns Night, we cannot forget Dumfries’s important connection to the life of our National Bard, with the Robert Burns Centre, Robert Burns House and the Mausoleum, as well as the statues of Robert Burns and his wife Jean Armour, all located in the town, and of course, Ellisland – the family home of Robert and Jeane – just up the road on the A76. “Dumfries & Galloway was also one of the local authorities to receive Scottish Government funding specifically for rural tourist sites, which will see improvements made to facilities at the Otter Pools near Clatteringshaws Loch, with the aim of bringing more visitors to the area.